Welcome to the beautiful townhomes of 448 Strathcona Dr! 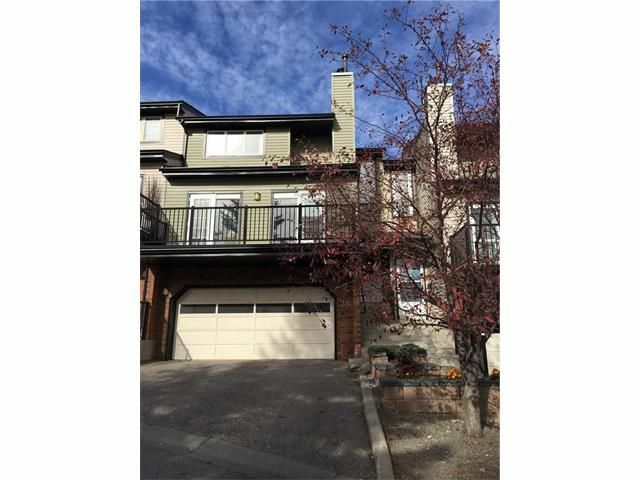 This private, secluded, three bedroom, two and a half baths, 2000+ sq ft of living space, in desirable Strathcona Park is nestled into the back of the complex and is located only minutes from downtown! In addition to the oversized, heated, double attached garage this large home features hardwood throughout, a formal living room with a wood burning fireplace and walks out to the back patio, a formal dining area with enough space for a table for 10, a huge kitchen with a large breakfast nook that overlooks the family room with another wood burning fireplace and opens out to the bright balcony overlooking the city!! Perfect for entertaining a lot of family and friends! Three bedrooms upstairs, including the spacious master retreat with a large walk-in closet! Within minutes to shopping and restaraunts, with quick exit to the mountains and a quick commute into the downtown core!! Call your favourite Realtor to view!